Auto Loans as low as 3.49% APR*! EQUIP YOUR BUSINESS FOR SUCCESS. Commercial Equipment Loans as low as 4.65% APR*! 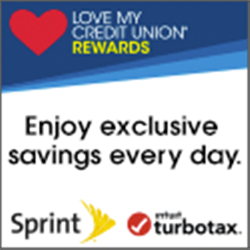 Save Up to $15 on Turbo Tax! IT'S TIME YOUR HOME PAID YOU! Home Equity Line of Credit with an intro rate of 3.65% APR*! We're giving away a $65 gift card every week! Earn rewards for using our products & services. Get off the lot and on the road — fast! Look to us to help cover a range of expenses. And love to give back with fun, hands-on lessons. Invite us into your classroom today! Take advantage of fast, secure deposits via your mobile device. It’s here! Check out our quarterly newsletter, Capital Notes. Find out what's happening in and around your favorite credit union! Sign up for a seminar — we offer a variety of topics that matter to you.